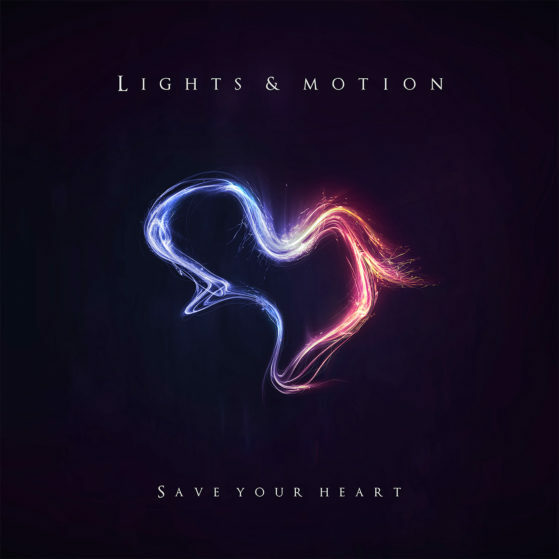 The second full-length album from Lights & Motion is called Save Your Heart, and was released on November 12th, 2013, through the american independent Deep Elm Records. It was released later during the same year as the debutalbum Reanimation first came out, explained by the fact that the bands sole member, Christoffer Franzén, ”Simply couldn’t stop writing”. The artwork for Save Your Heart was designed by graphic designer Elias Klingén. The image, which is visualized through a combination of colours and abstract lines, is a graphical representation of a heart, being connected by two different colors of red and blue, conceptualizing the album. Produced and Mixed by Lights & Motion.